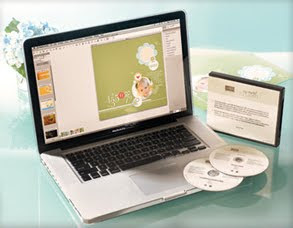 Craftin' Caro: Start Designing With My Digital Studio . . . FREE! Using the "My Digital Studio Express" software has never been easier! As was announced at our Leadership conference last week, Stampin' Up! will begin offering a 30-day My Digital Studio Express trial version starting February 1, that you can take advantage of. • Full access to the software at NO COST. • Exclusive artwork that comes with My Digital Studio Express. • Opportunity to purchase additional downloads from designer templates to stamp brush sets--and everything in between. • Access to our professional print services. It's simple; just add the free My Digital Studio Express trial (item 129600) to your online shopping cart from my SU store, and then download and install it. Watch for more information to be posted on February 1 but if you are curious about MDS in the meantime, here's a video for you!